The winner of WWE's Worlds Collide tournament was decided at Royal Rumble Axxess on Sunday. Velveteen Dream defeated Tyler Bate in the finals to win the tournament. As a stipulation of winning, Dream will receive an NXT, NXT UK, or 205 Live title shot of his choosing. WWE posted video of an interview with Velveteen Dream before Worlds Collide where he said he was going to challenge for the NXT Championship. 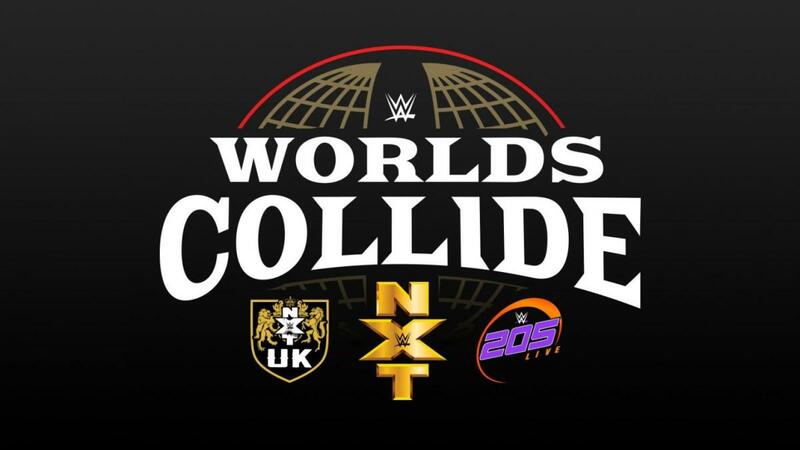 Worlds Collide was a 15-wrestler tournament at Axxess that featured participants from NXT, NXT UK, and 205 Live. Velveteen Dream, Adam Cole, Dominik Dijakovic, Keith Lee, and Shane Thorne represented NXT. Bate, Mark Andrews, Travis Banks, Jordan Devlin, and Zack Gibson represented NXT UK, and Cedric Alexander, Tony Nese, Drew Gulak, TJP, and Humberto Carrillo were the wrestlers from 205 Live. Velveteen Dream defeated Devlin in the semifinals, while Bate defeated Cole. Matches from the opening rounds of Worlds Collide will air on WWE.com, WWE's app, YouTube, Facebook, and Twitter starting at noon Eastern time this Saturday (February 2). A two-hour WWE Network special will then begin at 8 p.m. Eastern on Saturday. It will include the battle royal to determine the seeding for the tournament and matches from the later rounds, including the final.